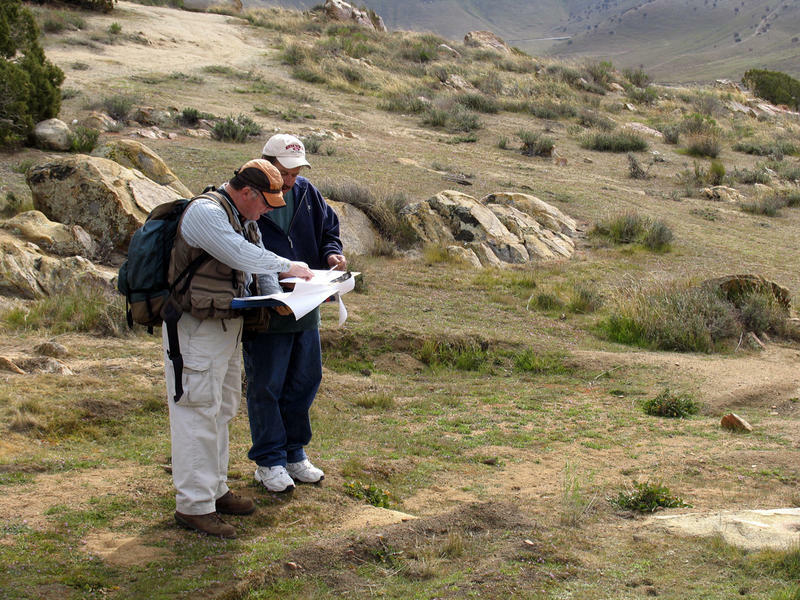 Two site stewards write their observations on a CASSP site visit form at a prehistoric site in the Sierras. For several years, volunteer site stewardship has been recognized as an effective way to help protect archaeological and historical resources and several site stewardship programs have been developed throughout the United States. A 2007 survey by Sophia Kelly, published by the National Park Service as Technical Brief 22, listed many of the state programs and identified key elements of volunteer site stewardship. During the last four years, however, many changes have occurred, especially in program budgets. The California Archaeological Site Stewardship Program (CASSP) is one program that has adapted to these changes. In an effort to better understand how site stewardship programs achieve their goals, this article examines some of the current characteristics and practices of CASSP. 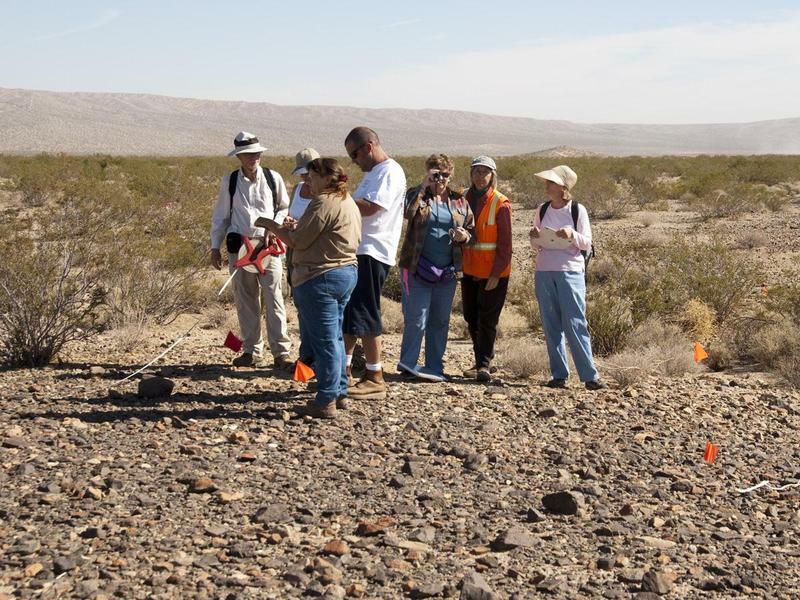 A working group within the Society for California Archaeology (SCA) started CASSP in 1999 with the goal of training volunteers at two Bureau of Land Management (BLM) Field Offices to help protect sites in those resource areas. Initially, it was not certain if CASSP would go beyond these first two workshops. Gradually, public land management agencies and local communities responded with greater interest and funding. Since 1999, almost one thousand people have participated in more than fifty CASSP training workshops held all across California. Last year, about three hundred active volunteer stewards reviewed the physical conditions of nearly four hundred sites and districts and reported their findings to agency archaeologists. Stewards help identify problems before they become more serious and, consequently, more expensive to fix. Their presence also helps deter inappropriate behavior by visitors (Figure 1). 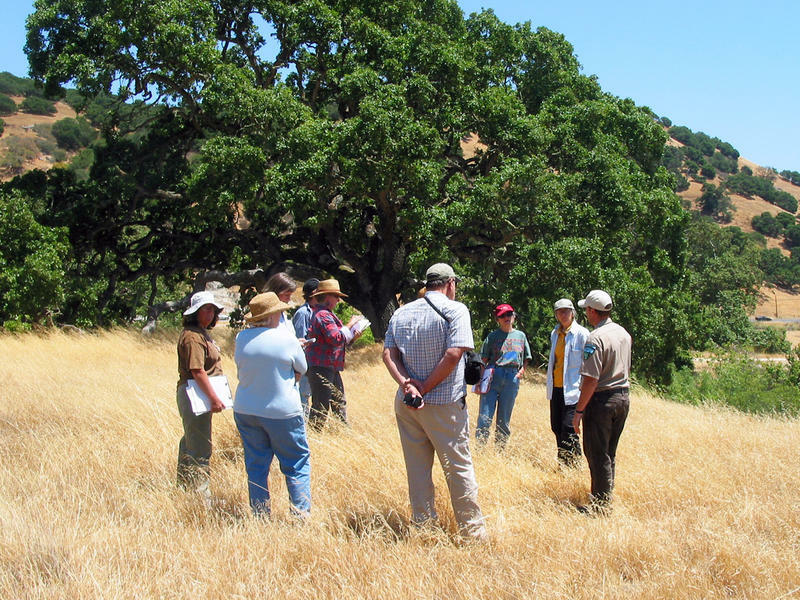 In California, volunteer site stewards are based in nine BLM Field Offices, six National Forests, five units of the National Park Service, and several State Parks Districts and State Vehicular Recreation Areas. Hundreds of CASSP volunteers work on public lands, but CASSP is not a government program. It is a program of the Society for California Archaeology, a nonprofit organization. CASSP has three clients: sites, agency archaeologists, and volunteer site stewards. The program helps to protect archaeological and historical sites on public lands, assists the agency archaeologists in monitoring the sites that they are responsible for, and provides opportunities for the volunteers to have a meaningful experience. When these goals overlap, CASSP creates a win-win for the public agencies, archaeologists, and volunteers. To achieve these goals, CASSP follows five main principles: attract good volunteers; maintain a consistent structure, but be flexible; decentralize; focus; and food. Each is important, but the first one is absolutely essential. Principle 1. Attract good volunteers. Good volunteers are people who are sincerely interested in and committed to protecting sites. Good volunteers are self-selected by meeting several thresholds. In order to become a site steward, applicants must complete a training course (Figure 2). The training is a formal, two-day workshop held over the weekend at the public land management agency where the volunteers may work. The workshop fee is $25 per person, and applicants have to register one week in advance. Workshop participants also sign an agreement to keep specific site location information confidential. By completing the training, applicants demonstrate their commitment to site preservation, and we treat them with the respect they deserve. We offer a “free trial” of site stewardship on the second day of the workshop. After completing the classroom sessions on the first day and signing a confidentiality agreement, the participants take a field trip on the second day to several recorded archaeological sites. At each site, we talk about a site steward’s duties and encourage one or more of the workshop participants to complete the monitoring form, which is then turned over to the host archaeologist as the first volunteer reports on the site (Figure 3). For an example of the CASSP monitoring form, please see pages 6 and 7 of this article. To attract committed volunteers, it is essential to respect the participants. We do this by providing name badges at the workshops to both the volunteers and to everyone helping to run the workshop. The badges help break down barriers between strangers and can be used to introduce people to each another. We show respect by keeping the workshops on time and on topic. We start at 9:00 a.m. and end at 4:30 p.m. Speakers are given definite time limits that are enforced by the workshop moderators. Time limits are also enforced by requesting that questions and discussion be deferred until break time or lunch and, if necessary, by going to the front of the room and politely sliding into the speaker’s personal space until they get the message and wrap things up (this is not always easy when the speaker is a uniformed supervisor or law enforcement officer but it helps that we do not work in their office). Staying on time shows that we think that the volunteers’ time is valuable, even if they are just starting their training. We follow an agenda that is printed on the first page of the workshop notebook. This plan allows us to make sure that all necessary topics are covered, ensuring that the volunteers receive the full value of attending. Completing the agenda also demonstrates right from the beginning that CASSP makes measurable progress, and that volunteers can make similar progress as site stewards who are preserving cultural resources. The number of participants at each workshop is limited to 25 people, in addition to speakers and agency staff. This is the maximum number we can effectively address and engage at one time. When the number of participants is 25 or less, everyone who attends has the chance to ask questions and become involved in the discussions. We maintain contact with the volunteers and workshop participants after their training has been completed. The second day of the workshop ends with a group picture, which we print and send to everyone with a handwritten thank you note, as well as an evaluation form with a return-addressed stamped envelope. We are genuinely interested in participants’ comments about the workshop and their suggestions on improving the program. We also want the volunteers to know that we enjoyed meeting them and that they are an important part of a statewide organization. The CASSP newsletter is printed and mailed to everyone who requested it or has participated in a workshop in the past five years. It is also sent by e-mail as a PDF and archived on the CASSP web site (www.cassp.org). The web site contains several sections, including a description of CASSP and information for potential volunteers, current volunteers, and agencies. CASSP also maintains a listserv (CASSP-events-subscribe@yahoo.com) and provides presentations and articles (like this one) to other organizations. We provide the agency archaeologist who hosts the workshop with copies of the volunteers’ candidate forms and confidentiality agreements and from this we create a contact list. We write thank you letters to the archaeologist and to the supervisors in the host agency (with the group photo of the workshop participants included). This helps bring closure to the workshop and highlights the agency archaeologists’ role with the volunteers to their supervisors. Principle 2. Maintain a consistent structure, but be flexible. The format for the workshops and structure of the program is the same for each office and agency while still allowing for flexibility with the details. For example, the program outlines the duties of a site steward to visit his or her assigned site and to record any observations, but the program is very adaptable concerning frequency of visits and the form of the report. For the workshops, while we provide an agenda, the schedule can adapt to the background and concerns of the audience and speakers. For instance, agency law enforcement officers are scheduled on the workshop agenda, but their patrol duties may change their availability, so we adjust the agenda accordingly. We provide a turnkey structure, but workshop locations and participants vary greatly, from conference rooms to tribal council rooms to camping out in the desert. Flexibility with the details means we can be more responsive to local needs and talents. In the workshops, there are standard components that are used every time and at every location, and then there are custom-made ones, such as information about the local archaeology and history, which help make the training more relevant to those who will be local volunteers (Figure 4). Standardization reduces effort and expense and enables volunteers to train at one location and work at another that is closer to home. Decentralization means that the volunteer site stewards work under local control and for the archaeologist at the local agency, not for the CASSP office in southern California or for the SCA office in northern California. Supervision of the volunteers is the responsibility of the agency archaeologists, as they will provide the daily contact and oversight for their volunteers. The workshop training reinforces decentralization. While the workshop organizers and presenters initially are the center of attention, the focus shifts through the morning from the organizers to the agency archaeologist and other speakers as they give presentations about local cultural resources and other topics. After lunch, we move the center of attention from the speakers to the volunteers. We create a list of items (on the white board and in the workshop notebooks) that should be carried on a volunteer’s site visits. We do an exercise in which the participants practice their observation skills by writing down their description of one of the presenters as a “perpetrator.” Then we break into small groups to discuss how to react in situations that one could face as a site steward (Figure 5). There are no easy or obvious answers and after 30 minutes, each group has to report back to the whole workshop and discuss their choices. By this stage, the participants are doing almost all of the talking as they lead the discussions. On the field trip, the workshop participants see actual archaeological sites and make their own discoveries. They also develop the habit of conversing with the archaeologist who will be their supervisor about specific site conditions and the general archaeological background. It is easy to be distracted by other worthy activities but CASSP tries to narrow its activities to a few specific ones in order to be as efficient and effective as possible. CASSP focuses on its clients and primary goals and if a proposed activity does not serve all three clients, then it is not pursued. Even if they are worthy, the program cannot spend time and resources trying to do activities that are outside the site stewardship scope and experience. · CASSP is not a certification program, university extension, or field school. · CASSP does not train individuals to monitor construction projects or activities for archaeological evidence. · CASSP does not provide site interpretation or other public education at a site. · CASSP does not create mitigation strategies or cultural resource evaluations. Instead, CASSP concentrates on volunteer training for site stewards to visit assigned sites and report on their conditions. Many volunteers will work with their agency archaeologists on other valuable tasks that help protect cultural resources. When that happens, it strengthens the program but it is not something that the program requires, expects, or is able to spend resources on. The fifth principle for a successful site stewardship program is food. CASSP provides lunch on the first day of the volunteer training workshop when people spend all day in a classroom setting. We initially did this to save time and to keep up our momentum but soon recognized this as an important tool for creating a comfortable atmosphere. Food is fun; everyone enjoys a good sandwich or a tasty spinach salad or an extra bite-sized brownie. When sharing a meal, people feel more comfortable asking questions and participating in discussions. The lunch is fresh and simple, with plenty of choices. Sandwiches, salads, and beverages for 25 people can be provided for a total cost of about $200. We bring sandwich bags and save leftovers as snacks for the next day’s field trip. The final point, which is actually incorporated into all the principles, is to remove barriers. The Society for California (SCA) is the statewide professional society for archaeologists in California. Members of the public can also join and are encouraged to do so. As the sponsor of CASSP, the SCA offers everyone who takes the volunteer training for site stewards a free first-year membership. This helps introduce the SCA to people who may want to continue with paying memberships and for many people, it opens a door to archaeological lectures, research, and professional papers. It is common to see people at the annual meetings of the SCA wearing name badges with the “CASSP” affiliation. · Committed and serious volunteers often go beyond site stewardship by, for example, assisting in fieldwork and helping to repair vandalized sites. 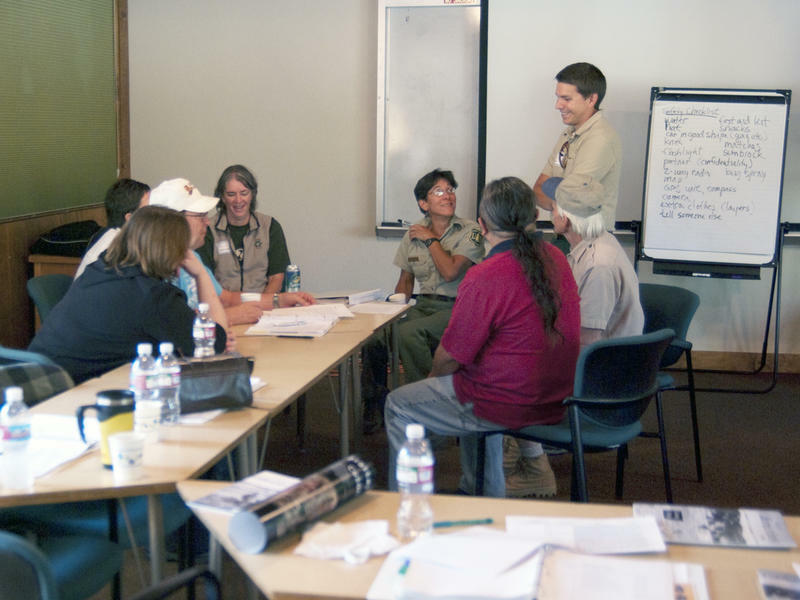 · In the training workshops and when doing site stewardship, volunteers have opportunities to talk to people with whom they normally do not interact. The workshops attract a diverse group of people, such as students, retired people, hikers, bikers, off-highway vehicle users, Native Americans, and community old-timers and newcomers. We start with everyone introducing themselves, then ask questions, share lunch and encourage involvement in discussions. During the workshop, participants find common interests and experiences to share with each other. Conversations are made easier because everyone at the workshop shares the same status: everyone is new to the local archaeology or to the site stewardship program. · Volunteers bring greater visibility to cultural resource concerns at agencies. 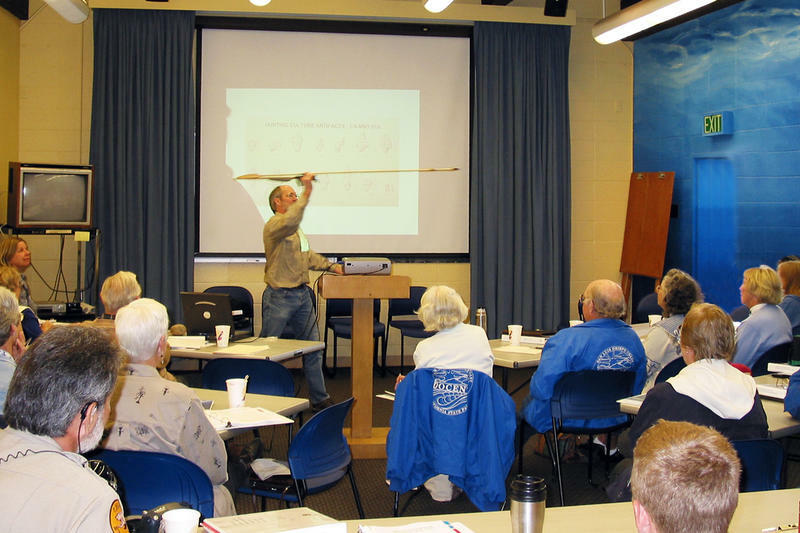 As the volunteer site stewards come to the public agency office, their visits to the agency archaeologist are noticed. Management soon realizes that these people are not coming to lodge a complaint, but are instead coming to help the agency comply with its responsibilities for cultural resources. 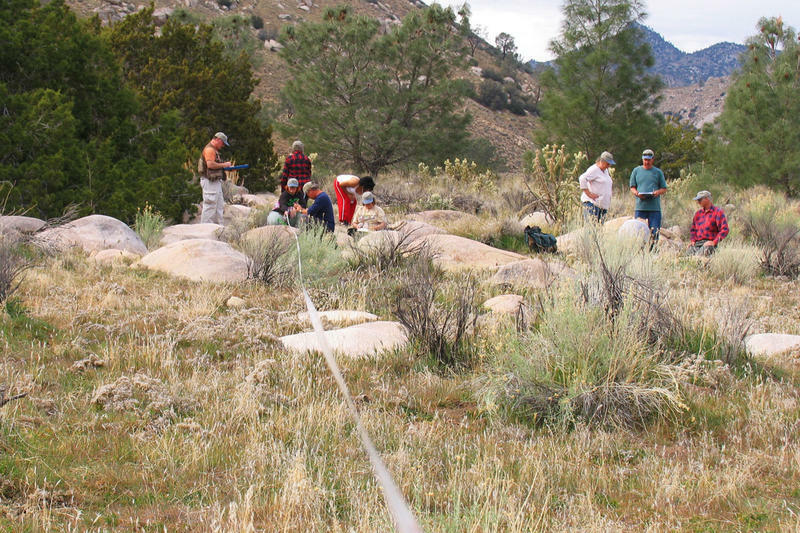 · In turn, these volunteers gain a greater awareness of the goals, tasks, and constraints of the U.S. Forests, BLM, and parks where they volunteer. · CASSP has brought academic and consulting archaeologists into activities with public volunteers. We often ask other archaeology and anthropology professors and consultants to provide their expertise for CASSP advanced training workshops. They do not pay the workshop fee and can participate in the complete workshop where they continue to informally share their knowledge and answer any questions from the participants. Established volunteer site stewards are also invited to return to workshops (without paying the fee again) to inspire new volunteers with their enthusiasm and experience (Figure 6). This article has described some of the principles and practices that have been useful for CASSP. Other programs will differ because they face different challenges and opportunities and have different needs and funding sources. By sharing experiences, site stewardship programs across the country can generate critical thinking and discussion about how public volunteers can best help protect cultural resources. As a result, a national coalition of site stewardship programs is emerging to share expertise, identify opportunities of economies of scale, attract new funding sources, and provide a focus where agencies can find out how site stewardship may be useful for them. Site stewardship programs have to maintain current best practices while being receptive to change, in order to better protect sites, assist agencies, and benefit volunteers. Stay tuned. Please keep me informed through email. This sounds like an intresting program.